The Donald G.H. Bowman National Tax Moot is Canada’s first competitive moot on taxation. The Moot is named after the Honourable Donald G.H. Bowman, former Chief Justice of the Tax Court of Canada. The Donald G.H. Bowman Moot was founded in 2011 by Dr. Emir Crowne, Associate Professor, and Professor John P. Weir, both of the University of Windsor Law School, and the partnership of Dentons Canada LLP. It is administered by a committee of judges, practitioners, academics and students. Students compete over two days in two preliminary rounds, semi-finals and the final moot before a panel of three judges. Winners are announced at a dinner on the last day of the Moot. In 2017, we became a bilingual competition by allowing students to plead and prepare their written arguments in the official language of their choice. Interpreters are provided for bilingual moot(s). The 2019 Donald G.H. 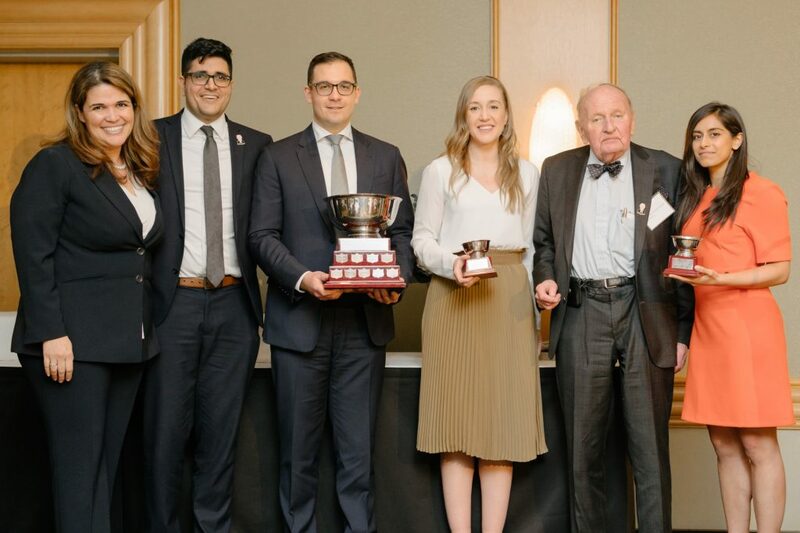 Bowman National Tax Moot took place in Toronto on March 1-2, 2019.